Key Medium specializes in quality affordable business website design and rapid website redesign services for small to medium-sized businesses and startup companies. When you partner with Key Medium for your website, you’re investing in a world-class online experience that generates engagement and growth. Find out what’s right for you. Schedule a free one-on-one consultation, or explore our showcase business website design work below. Temple Villas provides off-campus housing to students attending Temple University in Philadelphia. The Temple Villas database had been hacked due to a faulty third-party plugin. In addition to security, the company wanted their new site to increase web traffic and in turn, rent more apartments. Key Medium provided cyber security and SEO services following the fallout of the hack, which had created hundreds of spam pages Google had indexed. To boost traffic, Key Medium added conversion rate optimization along with a site refresh. We added a new page specifically for showings and created and implemented a thorough on-page strategy. Temple Villas subscribed to a monthly maintenance package to ensure site continued site performance and security. They also invested in monthly PPC and display advertising campaigns to reach potential renters online. 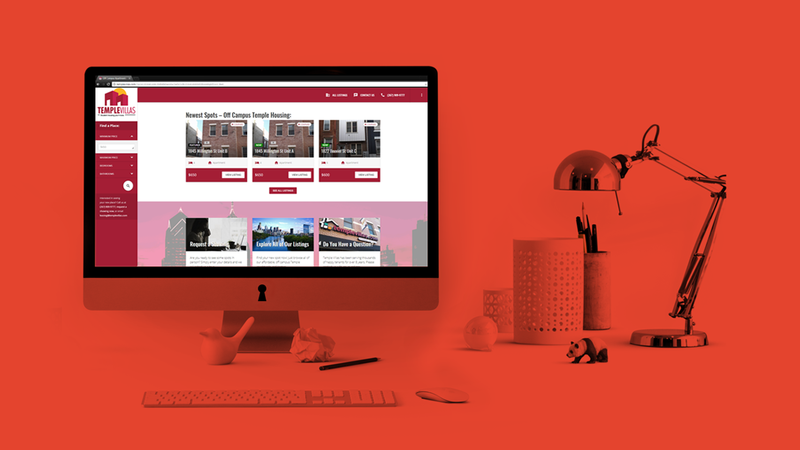 Almost immediately after Key Medium launched our new website, our business appeared on the first page of Google when students searched for off-campus apartments in our area. We credit our new website with giving us the ability to reach our clients where they are - online!